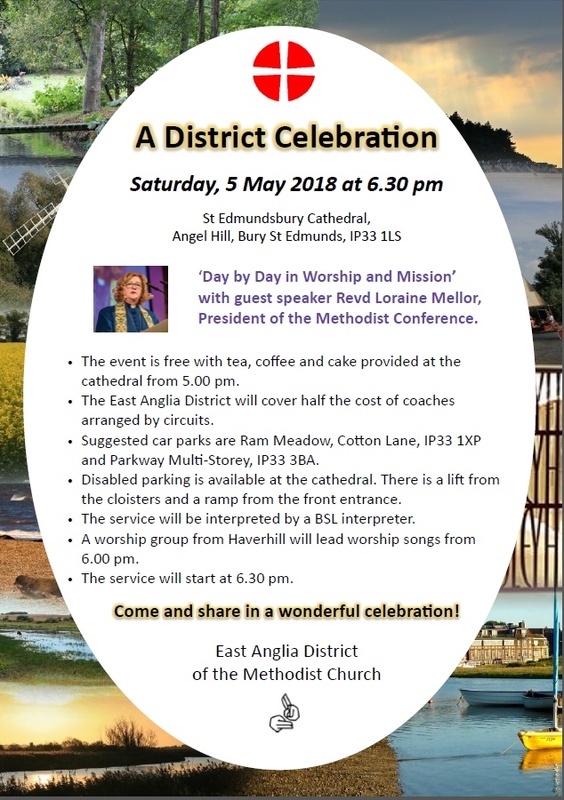 Saturday 5th May A Methodist District Celebration - Guest Speaker Revd Loraine Mellor, President of the Methodist Conference. The President preached on the theme : â€˜Day by Day in Worship and Missionâ€™. Saturday 24th March Trinity Quiz Evening. An enjoyable quiz evening - with excellent cakes for refreshments. Saturday 11th November Trinity Film and Food Evening. We were treated to an excellent meal, with a menu reminiscent of the period of the film to follow - Boeuf Bourguignon, followed by a Black Forest Trifle [surely - a Black-hole Forest Trifle??J]. We then enjoyed the film 'The Theory of Everything'. 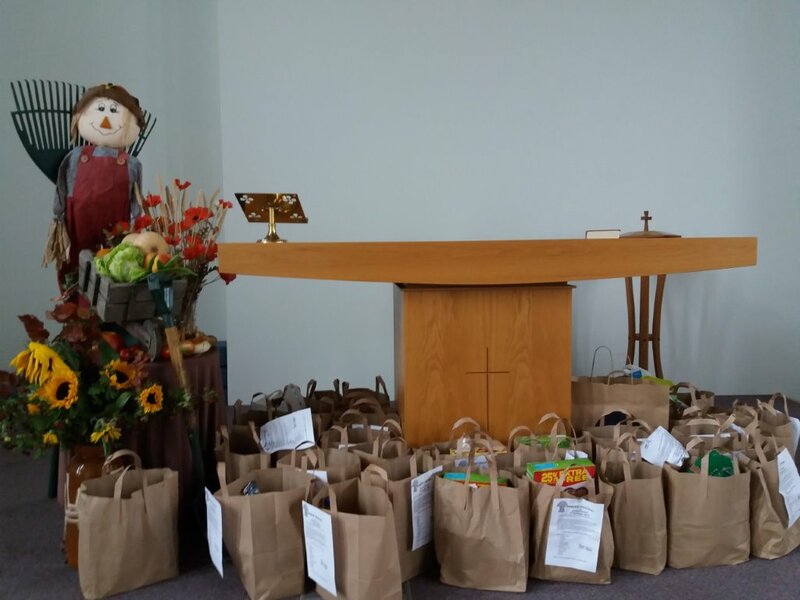 Sunday 1st October Harvest Festival 2017 at Trinity Methodist Church - a great time of celebration, and, during the service, the Harvest Bags were received full of goodies to be given to Amaryllis Housing, which is part of the Methodist Church charity Action for Children. After the service, we watched films about Samaritan's Purse - Operation Christmas Child - a charity we will be supporting later in the year. Then we enjoyed an excellent Harvest Lunch in the Hall. 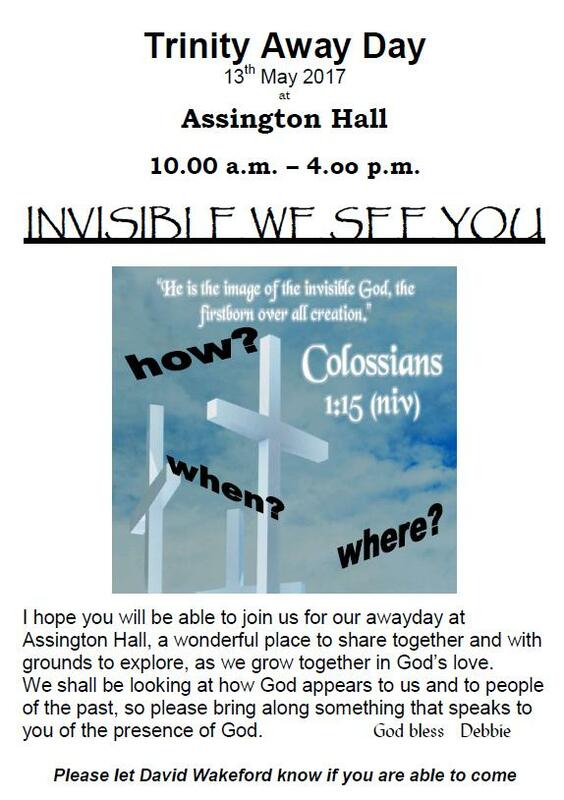 Saturday 13th May Trinity AwayDay at Assington Hall, led by Revd Debbie Borda. Saturday 6th May A fantastic concert in aid of the Trinity Chain of Hope Event in support of PeaceOneDay(.org), raising funds for Bury Women's Refuge. A multicultural concert of words and music - the Dayspring Community Choir, Ian Speed reading his poetry, Helen Taylor narrating dramatic stories, Clare Mellor and Melody Morris playing flutes, Marina Kralina playing the piano. Sunday 2nd April An excellent concert by the Aquarius Singers - on the theme of "Music for Lent". 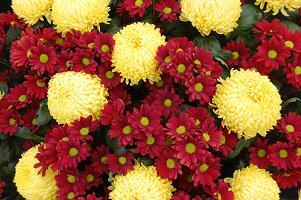 Sunday 26th March Mothering Sunday - and BIG Sunday. We separated into groups for a multitude of different activities - something for everyone. With the theme of "Who Provides? ", we studied the 23rd Psalm with today's newspapers to see how the news may relate to this. Or we engaged in less formal, or craft-based activities: Solitary Bees, Sheep Card, Sweet Flowers, Trinket Box, Wordsearch, Colouring. If you want to know what these were about, you'll just have to ask someone! Saturday 18th March Grand Trinity Quiz Evening. We enjoyed a friendly quiz - and learned quite a lot of new facts. We also enjoyed an excellent selection of home-made cakes. Many thanks to all who organised, set-up, came along, and tidied up. Sunday 12th March We celebrated Trinity's Church Anniversary, with a Gift Day, on the Second Sunday in Lent. Sunday 5th March A cafÃ©-style service at Trinity - a celebration of Fairtrade, on Fairtrade Sunday, and the First Sunday in Lent. Saturday 28th January Trinity put on another of its (legendary) Burns Night Dinners. A great success - many thanks to all concerned! 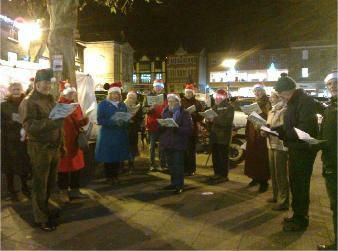 Thursday 22nd December A group from Trinity went carol-singing in the town centre, to announce the real meaning of Christmas. 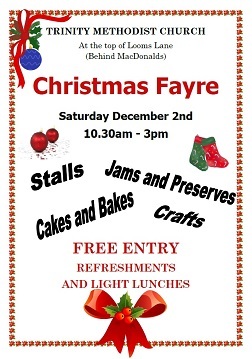 Sunday 11th December The Trinity Nativity Great Messy Church Christmas Bake-off. We enjoyed a Nativity Service (with a cast of thousands - well almost), in the presence of "Paul Hollywood, Mary Berry, Sue Perkins and Mel Giedroyc" who encouraged particpants in the Christmas-themed cake decorating competition. followed by a sumptuous tea. Sunday 4th December Toy Service. Many thanks for the donations of toys and gifts which will be distributed via Social Services. Saturday 5th November TOCT entertained us with an excellent Film and Food Evening. The film was Film â€œMiss Potterâ€� which marks the 150th anniversary of the birth of Beatrix Potter and celebrates her work as an artist, author and conservationist. The food was a Lake District based meal - Cumberland sausage and mash (with a variety of vegetables), sticky toffee pudding, mints (Kendal Mint Cake!) and tea or coffee. 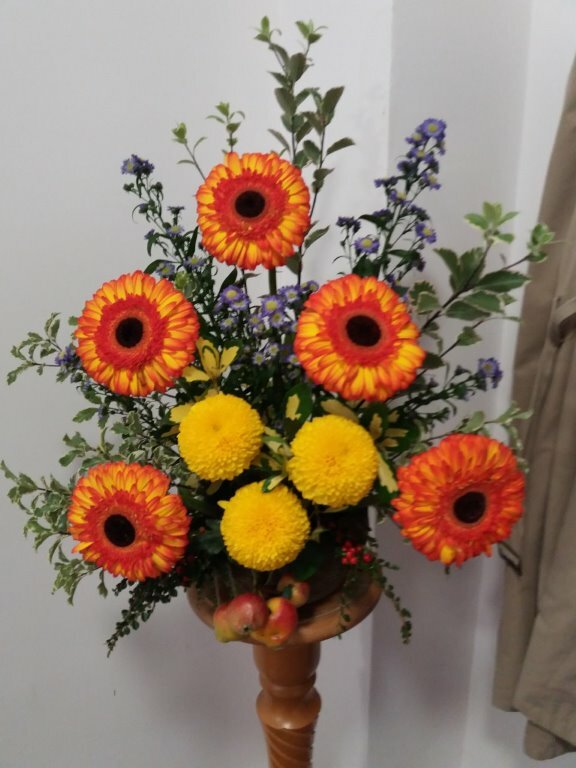 Sunday 2nd October Harvest festival. 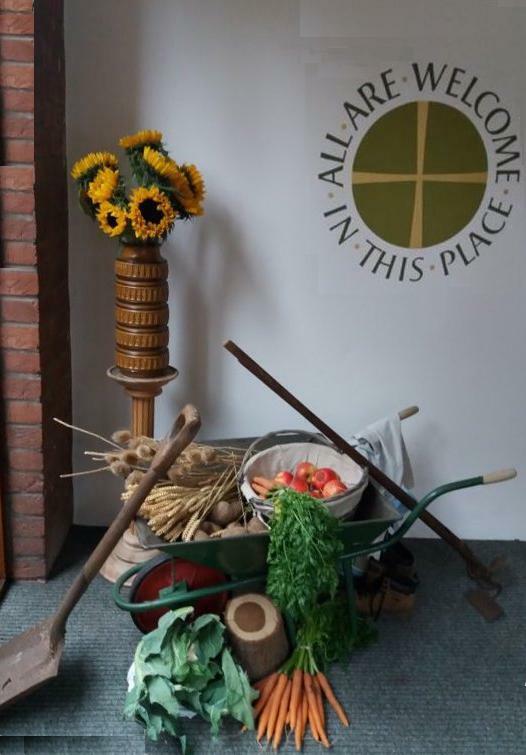 An excellent harvest lunch, and also an excellent donation of food and other items for Action for Children, West Suffolk Shared Housing Scheme. Many thanks to all concerned. Sunday 25th September Bury St Edmunds Chain of Hope. 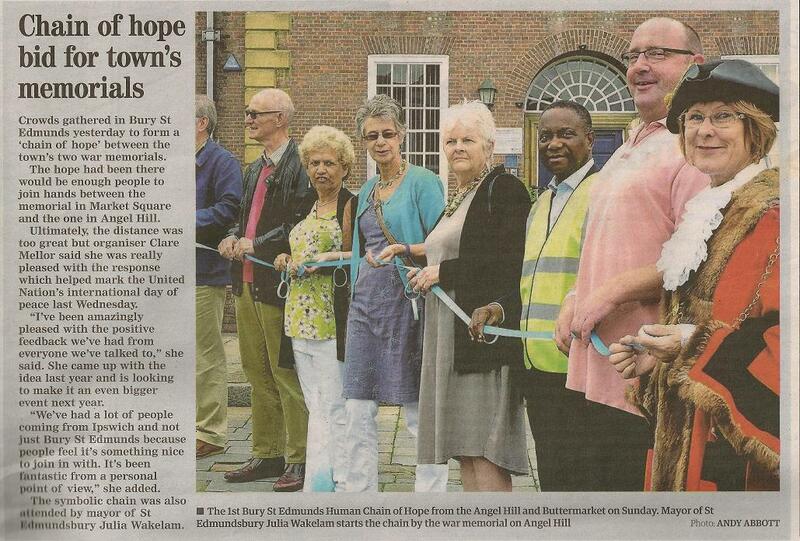 To recognise the UN Day of Peace (21st September), and in support of PeaceOneDay, Trinity organised a Human Chain of Hope, to connect the two war memorials in Bury (on Buttermarket and Angel Hill). There was good press coverage of the event.